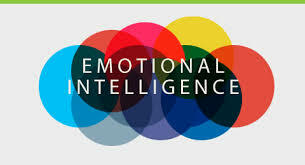 Increasingly conflict and peacebuilding professionals are recognizing the importance of emotional intelligence (EI) not only with disputants but with practitioners. This program offered by the Negotiation and Conflict Resolution Program at Columbia University will provide insight as to the role of EI in family settings. The event is April 13 from 12 – 1 p.m. and it is online. Previous USIP Event: Finding Common Ground on Africa with China, 4/11, 9 a.m. – 4 p.m.